used by the Aztecs and Mayans to supplement their stamina and strength, chia seeds is one of the most nutrient dense food around. Just 1 tablespoon of chia seed (I’m using 1 tablespoon because that is the average intake of chia seeds daily. Around 2 tablespoons are the maximum recommended intake) has about 2.7g of omega 3. In comparison, one average pill of fish oil has only 300mg of omega 3. That’s 9 times more omega 3 in a tablespoon! Such high density of omega 3 is one of the greatest health benefit of chia seeds. Nutritionist and scientists alike are preaching about how much our modern society’s diet is lacking in omega 3. Instead, our diet is very high in omega 6 thanks to all the fried food we consume abundantly. A guy eating a modern diet will have imbalance of omega 6 to omega 3 of up to 20:1. And scientists say that the best ratio for our body is 1:1! Such huge omega 6 to omega 3 imbalance caused lots of problems to our body. Researches have pointed out that these imbalances can cause a variety of problems such as inflammation in our body, heart disease, hypertension, diabetes, obesity and increased cancer risks. A diet high in omega 3 will be able to reduce cholesterol triglyceride levels in blood, which will reduce obesity and heart disease risks. It will also help in joint stiffness and pain. Moreover, omega 3 is known to have great impact to brain health. It is really recommended that kids are supplemented in omega 3 to ramped up their learning ability. Chia seeds are also rich in fiber. 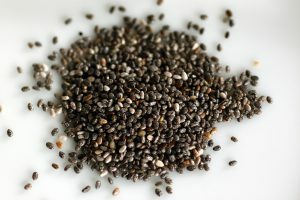 But how much fiber is actually in chia seeds? 1 tablespoon of chia seeds has 5.2g of fiber. In comparison, 1 cup of spinach has 4.3g, kale has 2.6g and banana has 3.7g. As you can see, just 1 tablespoon of chia seeds is packed with much higher fiber than some of the most nutritious fruits and veggies! What are the health benefits of fiber? Fiber will allow reduction of blood sugar level by slowing absorption of sugar in our body. It can also lower cholesterol level and reduced diabetes risks. Due to its binding nature, chia seeds will help solidify stools and make it bulky and easier to pass and curing constipation. This will help clear out our intestines (instead of letting those foods you eat 2 days ago stuck there) and ensuring your most recent foods have proper digestion for optimum nutrient absorption. Chia seeds fibers will also help with weight loss. Fiber is more filling, but they have a low amount of calorie. Thus, eating lots of fiber will make you feel full longer, but you are actually eating less calorie. This will trick you to reducing your actual food intake and help losing weight. Chia seeds does not have much vitamins in them (except for some vitamin B) but they have a lot of minerals in them. 1 tablespoon of chia seeds has a high amount of calcium, iron, magnesium, phosporus, copper, manganese and selenium, that is comparable or higher that some vegetables and fruits out there. These minerals are highly important for our body functions. It can help with body growth, bone health and repair, tissue maintenance and heart health. Chia Seeds are also rich in antioxidants. Compounds such as chlorogenic acid, caffeic acid, quercetin and kaempferol are abundant in these tiny little seeds. These antioxidants are our body cell’s guard against harmful oxidation effect and able to slow ageing process in our body. It also can lower blood pressure, fight inflammation in body, reduce heart disease, and decrease cancer risks. As you can notice, the combination of Omega 3, antioxidants, minerals and fiber in chia seeds is perfect to counter common diseases associated with unhealthy western diet such as hypertension, heart disease and diabetes. So how can you buy chia seeds? Amazon.com has an amazing offer for chia seeds right now. 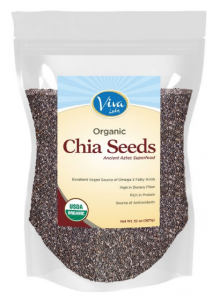 This particular brance, Viva Labs are one of the most popular brand for chia seeds. They only sell organic, non-gmo certified chia seeds, so you can always be sure that the seeds you consume is not full of pesticides and are not genetically modified. You can buy viva labs organic chia seeds here. 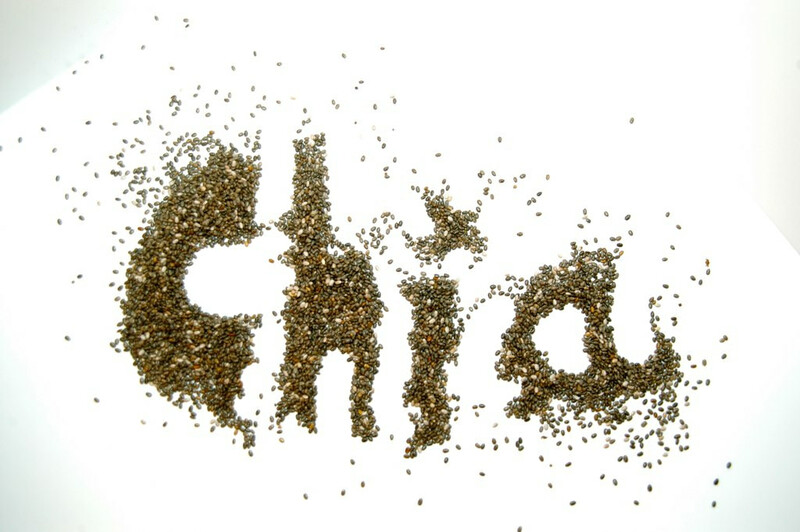 Chia seeds is one of the most nutrient dense food in earth. Just one tablespoon daily is needed to give you nutrients that is on par with cups of veggies and fruits. It is also beneficial to fight diseases common with western diet. But again, I would like to remind my readers that there is no miracle food in this world that can cure all diseases. The cure to our diseases starts with the food that we ate. There will be little effect of eating chia seeds if you still continue with unhealthy eating lifestyle. Please drop your comments and feedbacks down below in the comments section. Thanks for reading!